Owning a Lexus is a beautiful thing. Having them repaired is not. If you’re driving around in a high-end vehicle, you should have a high-end mechanic providing you all the necessary Lexus repairs and maintenance. A certified technician that is familiar with your Lexus is invaluable. A general auto repair shop will try to figure out your Lexus repairs as they go along, thinking your Lexus is like any other vehicle. 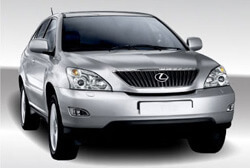 This trial and error form of Lexus repair service can become time consuming and expensive. When it comes to luxury imports, typically you will always have a higher automotive repair bill anyway. This is why it’s important to have your Lexus repairs performed right the first time. At Hollin Hall Automotive, we understand your Lexus’s needs and how to keep it running smoothly. Our expert technicians have been providing top-of-the-line Lexus repairs and services in Alexandria, VA for almost 40 years. And we look forward to the next 40 years of keeping Lexus drivers on the road. Our ase certified mechanics know cars, and more importantly they know Lexus. We understand how important it is to stay up-to-date on routine services. Make sure you bring your Lexus in today for the specialized service it deserves. We understand no one is excited about coming in for an oil change, exhaust repair, engine repair, or anything else, and that these services can get pricey real quick. This is why we pride ourselves on hiring only the best mechanics in the Alexandria, VA area. They can take your car, your budget, and form a service plan that works for you, and gets you back on the road as quickly and as safely as possible. Don’t waste another minute. Give us a call at (703)765-3722, or schedule your Lexus repair appointment online by clicking here!